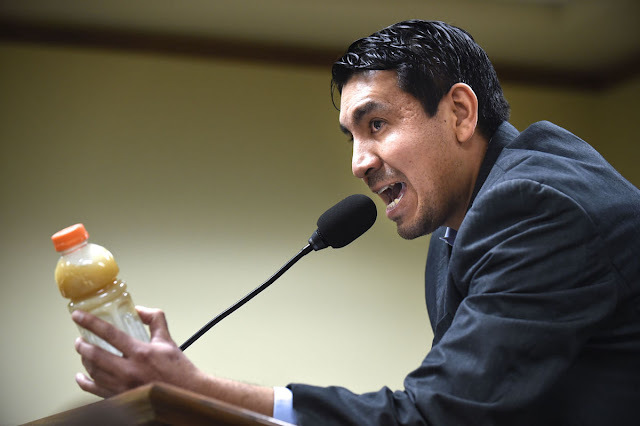 Dustin Monroe held up an old Gatorade bottle filled with orange, oil-contaminated water and implored Montana legislators to approve a bill that would ban fossil fuel pipelines from crossing under rivers and lakes. 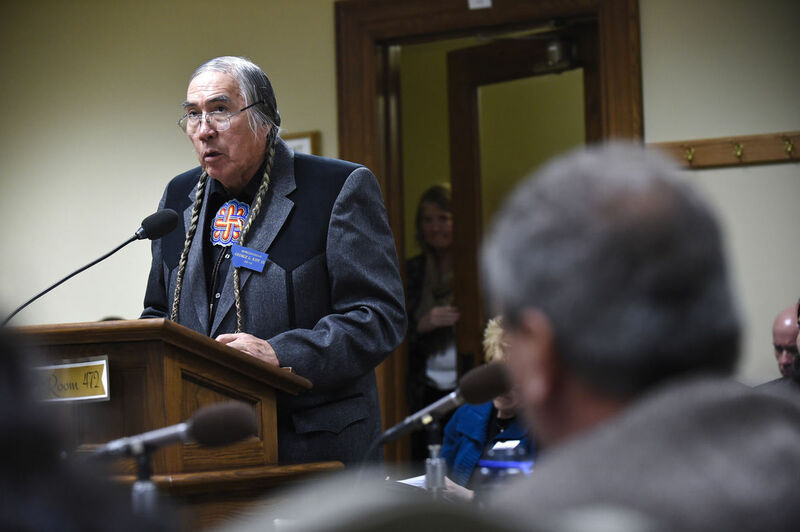 “How many of us in this room would drink this?” Monroe, CEO of Native Generational Change, asked the House Federal Relations, Energy and Telecommunications Committee during a hearing for House Bill 486 on Monday. The measure would ban pipelines with a diameter of 10 inches or greater from going under navigable water bodies and establish construction requirements for them to cross above ground, including rules on casings and leak detection. The new regulations would apply to fossil fuels such as crude petroleum, coal and their products. The bill’s introduction comes after several major spills into Montana rivers over the last decade, ranging from Glendive to Billings. And it comes as the nation debates the best methods to transport crude oil, what risk to water sources is acceptable, and how far tribal sovereignty extends when projects cross aboriginal lands that are no longer tribally owned, as was the case outside Standing Rock where thousands have gathered for months to protest the Dakota Access Pipeline. The decision by President Donald Trump in January to revive the Keystone XL pipeline project with a handful of executive actions drew a mixed response. As proposed, 284 miles of the 1,700-mile project would cut through Montana, crossing the Canadian border north of Malta and passing into South Dakota north of Ekalaka. It would cross the Missouri River near Fort Peck and the Yellowstone River south of Glendive. It would transport Canadian Tar Sands crude — argued to be more difficult or impossible to clean up because it is thicker than other oils — to southern U.S. refineries and ports. The current industry standard for crossing streams, rivers and lakes is to use horizontal drilling — the same technology used in some oil exploration — to dig tunnels underneath them. Federal rules require pipelines to be at least four feet deeper than water bodies, but opponents of the bill said Monday most are now dug 20 to 60 feet deep, depending on geographic features. Rep. George Kipp III said the bill, which he introduced, is as much about protecting underground aquifers from contamination as it is about rivers and streams. The Heart Butte Democrat and Blackfeet tribal member said Montana needs to take a more hands-on approach to fulfilling the state constitution’s requirement for “a clean and healthful environment” by updating and expanding its oversight of how these products are transported across the state. 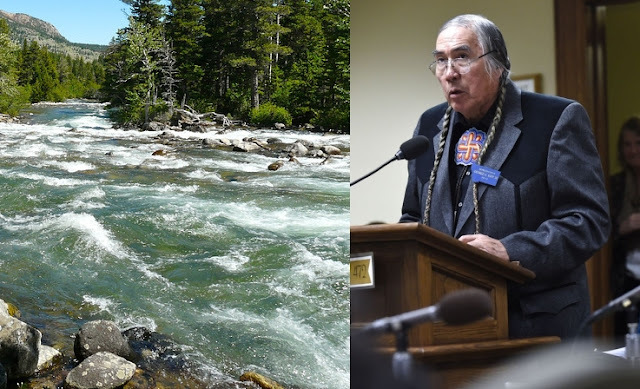 Responses to "Montana bill would ban pipelines from crossing underneath rivers, lakes "
Why can't they do that for DOPL???smh! We have all seen the devastation a leak does in our waters. It killed the fish and forced people to find alternative water sources. 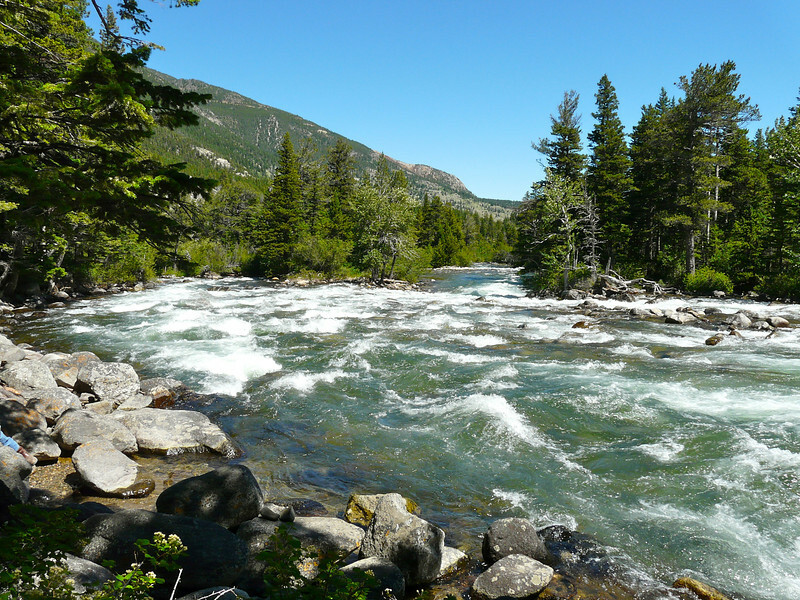 Montana depends on the tourism trade with our beautiful mountains and sparkling rivers and streams. Our children and their children will be the ones affected if there is no clean water. Save Montana, our Big Sky Country, from destructive pipelines. What they are saying about the aquifers is correct. That is the water that replenishes our streams and rivers and fills water wells for livestock and ranchers. And yet, the Republican Congress is in favor of allowing the danger to our above ground water and our aqua-firs to play out in return for big oil money to their campaigns. They all should be lined up and shot, because that's exactly what they are doing to the people who depend on that water to drink and to water their crops and to provide drinking water for their cattle and horses. I Stand with Standing Rock and all other Indigenous Peoples, and all people that wish to protect the life blood of humanity, clean water, they are not making any more of it, and guess what, Mni Wiconi' Water is LIFE..
Underneath Water is always going to be dangerous and a huge risk to life and the environment. Yes! Protect the water and check out your water settlement agreements! The answer is crystal clear just as our waters should be..at any and all cost water needs to be protected from the poisonous damages of these ignorant and/or just uncaring corporations for the truth above all is that there is absolutely No Life without clean water. Min Wiconi, Water is Life!!! This sounds like a very good bill. There has to be a way that water can be kept safe and not polluted. This is essential for all of us for the future. I’m glad to see the Blackfeet of Montana becoming involved in political Activism on this issue. While this is a good idea, it doesn't change the fact that the water is already contaminated by these pipes 40-60 feet underwater and the aquifers! They need to to be taken out of the Earth period, immediately...Otherwise, this will continue to be a problem! I live north of Denver where they are Drilling and Fracking like no tomorrow. I estimate that they are dirtying up 50,000 to 100,000 acre ft of fresh water (water from our mountain snow pack). After they use this valuable water to drill and frack, it is then pumped over a mile deep into the earth since it is so toxic. I keep trying to get the locals to understand that this water will never return to the hydro logic cycle. They are so poisoned by Big Oil and Gas money that they just don't care. Keep up the fight, if you want to see how destructive people poisoned by Big Oil can get, come visit this area. It's sick and I want out of there, but too old to relocate my small farm and cow/calf operation. No. Energy corporations are about profits. No to them always, all ways, just NO. Water is life.Water is alive, it deserves to live unfettered, unburdened with toxic soup of criminals. Total joke. Throw that stupid bill straight in the trash. There r other means to energies that we all need to evaluate too ,now. The Pipe line industries should fund this transition with training and yes there are stills jobs in using clean energy, that everyone so concerned with. So we all could benefit, really that simple. Instead of the greedy get rich BS. All water sources of mother nature needs to replesnish.